The structure and equipment of the Stand is fixed and changes are not allowed. Inclusion in the Official Catalogue with the company’s name and brands. Entitlement to the New Products Area and show cooking. 1 round table (ø 80cm.) with 3 chairs. 1 Shelve cabinet with light (234 x 60 x 50 cm). Fascia Board with company name**. 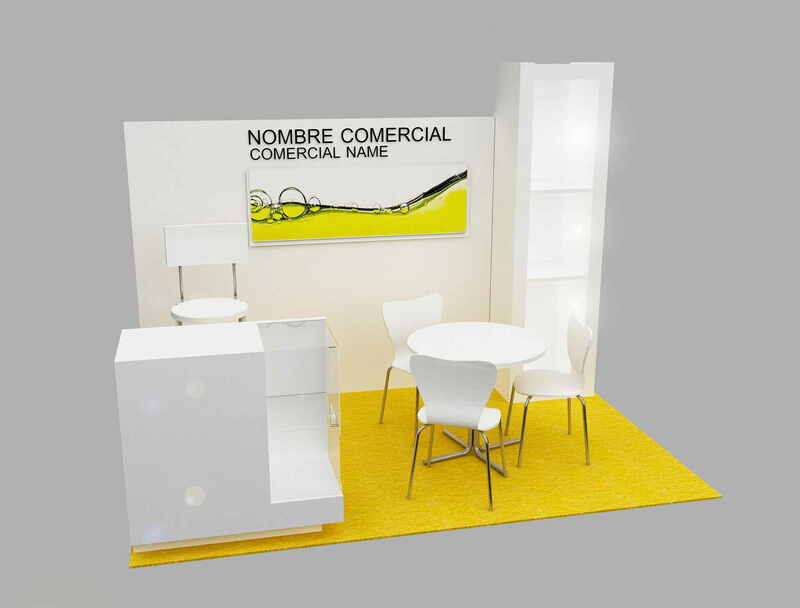 Exhibitors have to provide the Organisers with the design before March 1st, 2019 according to the following specifications: 160 cm de in width x 80 cm high. Format: .jpg or .pdf archive in CMYK high resolution 150 ppi real size.